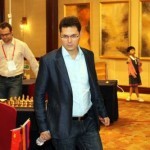 One of the stories of the recent World Team Championship in China was the return of Peter Leko after a long absence from competitive chess. He played as though he’d never been away, posting an unbeaten 2800+ performance. In an interview he revealed what was behind his decision. 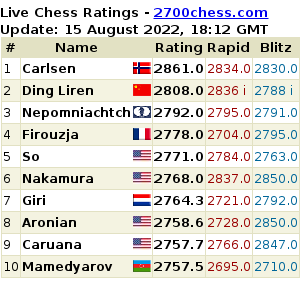 Sergey Karjakin recently finished joint top with Magnus Carlsen at the Kings Tournament in Bazna, and moved up to fourth on the July 2011 FIDE rating list. 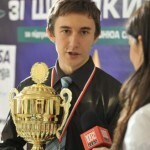 In an interview with Yury Vasiliev he talked about his ambitions, his rivalry with Carlsen, the Candidates Matches and the future of classical chess. 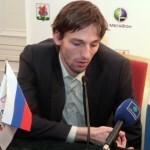 Alexander Grischuk was the focus of controversy over the recent Candidates Matches. 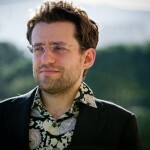 His route to the final, winning no classical games and sometimes agreeing to short draws with White, seemed to highlight the format’s problems. 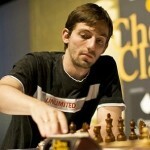 Grischuk himself, however, welcomed the difficult times for classical chess. 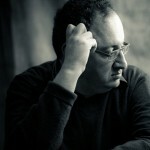 Boris Gelfand’s view, in an interview with Chess-News after winning the Candidates Matches in Kazan, was that an in-form Ivanchuk is still the best player in the world. 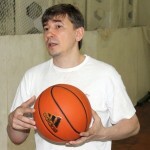 As well as the topic of age in chess, he also talked about preparation, computers, Sofia Rules and the World Championship format. 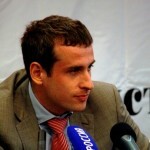 Just before the closing ceremony of the Candidates Matches in Kazan, Alexander Grischuk gave a fascinating interview to Yury Vasiliev of ChessPro, where he talked about tactics, his fear he’d forgotten how to play chess, Gelfand’s play in the final, and the “burial of classical chess” due to draws.